Julie Andrews has a previously unannounced part to play in the superhero adventure, EW has learned exclusively. In this scene, King Orm (Patrick Wilson, not shown) has gone to the Fisherman King (played by Djimon Hounsou, that guy with the trident — and more on that in a minute) to enlist his help to declare war on the ocean-polluting surface world. There’s also the Fisherman Queen (Natalia Safran) and Princess (Sophia Forrest) on the left, and a royal guard on the right. Though you can’t tell in this shot, all of them have tails instead of legs. This is an ancient meeting place called The Council of the Kings that’s fallen into ruin. 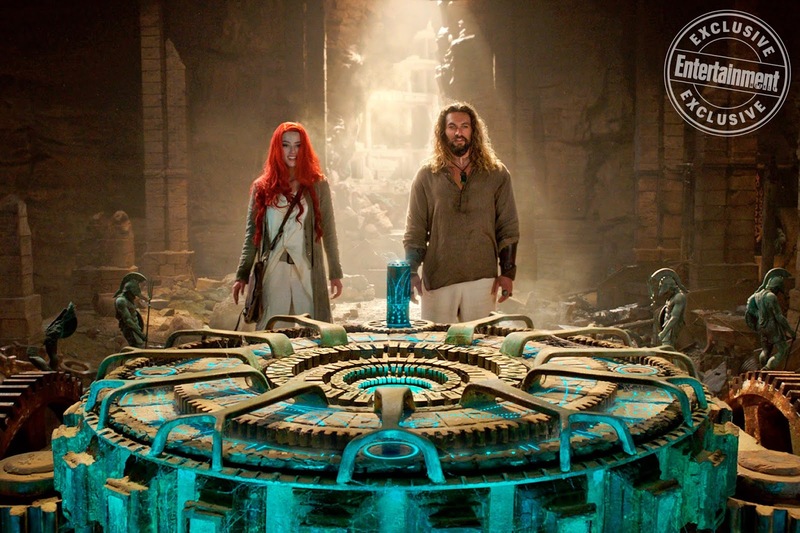 It’s not in Atlantis (so we still haven’t seen that yet — it wasn’t in Justice League either) but on the outskirts. When Wan first met with Warner Bros. to discuss taking on a superhero film, they famously gave him two options: One was a very popular character (The Flash) and the other was considered so impossible to pull off that the prospect of a movie had been a running joke on Entourage. Naturally, the veteran horror director picked the project that would terrify anybody else. Michael Beach is set for a role in Warner Bros’ Jason Momoa-starring DC Comics stand-alone film Aquaman. He joins Amber Heard, Nicole Kidman, Willem Dafoe, Patrick Wilson, Ludi Lin, Dolph Lundgren, Temuera Morrison and Yahya Abdul-Mateen II in the cast. James Wan is at the helm of the pic, which will hit theater during Christmas season 2018. In the comics, Murk is the leader of the front-line army of Atlantis known as the Men-of-War and Aquaman’s trusted ally. Willem Dafoe is playing Aquaman’s adviser, scientist Dr. Vulko, Yahya Abdul-Mateen II is classic villain Black Manta, and Temuera Morrison is Aquaman’s father. 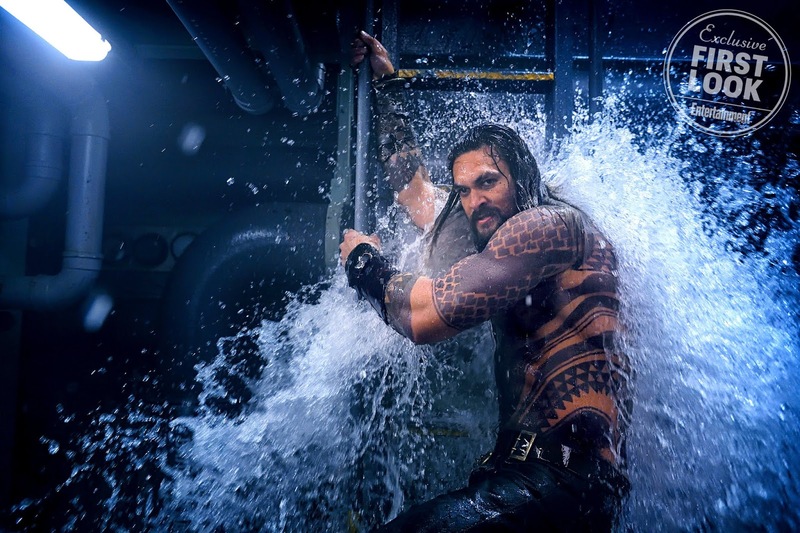 Warner Bros has just pushed back the release date for its DC tentpole Aquaman starring Jason Momoa from October 2018 to December 21, 2018. 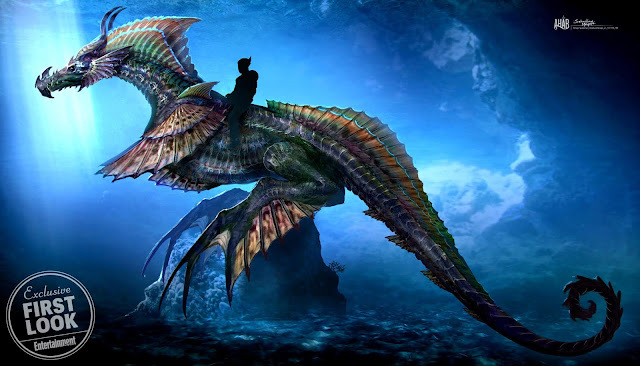 That prime location was vacated last week when James Cameron said his Avatar 2 would not be ready in time for that date, which had been penciled in for the second in several planned sequels. 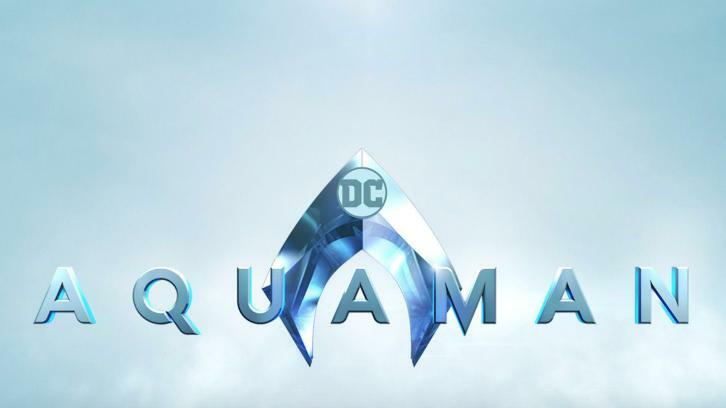 Temuera Morrison, perhaps best known for his work playing Jango Fett in the Star Wars prequels, is in negotiations to join the cast of Aquaman, Warner Bros.’ big-screen take on the classic DC Entertainment underwater-breathing comic book superhero. Morrison will play Aquaman’s human father. Wan is sitting in the director’s chair and prepping the movie for an April start in Australia. The actress, who is in the Oscar mix this awards season for her work in Lion, is in early talks to play Aquaman’s mother in Aquaman, the big-screen take of the underwater-breathing comic book super hero. If a deal makes - it looks optimistic as she has been Wan's top choice for weeks, with an official offer finally going out yesterday - this will not be Kidman's first swim in the DC superhero waters. The actress starred opposite Val Kilmer in 1995's Batman Forever as the Bruce Wayne's love interest, Dr. Chase Meridian. Yahya Abdul-Mateen II, who starred in Netflix’s Baz Luhrmann show The Get Down, is in early talks to put on his wetsuit for Warner Bros. Aquaman movie. 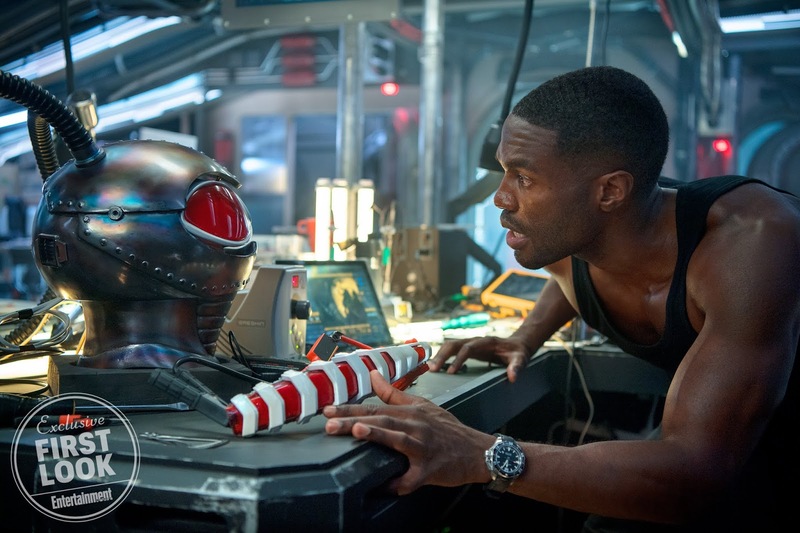 The actor has nabbed the part of Black Manta, one of the DC Comics villains. Director James Wan and the studio have been meeting with numerous actors for the part for the past two weeks, settling on Abdul-Mateen over the weekend. The official offer went out yesterday and the parties are now in talks. If a deal makes, Abdul-Mateen will suit up as Manta, who first appeared in a DC comic in 1967 and stood out due to his unique battle-costume, trident, and deadly schemes. Aquaman is a massive undertaking for the studio and the next DC movie to be going before cameras. An April start in Australia is being planned. 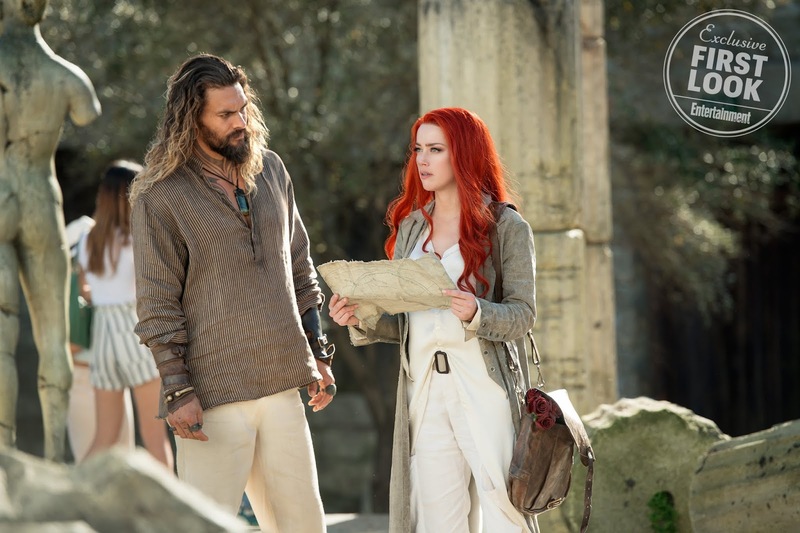 The Australian and Queensland governments on Thursday confirmed that Aquaman will shoot in South East Queensland on the Gold Coast area known as Surfer's Paradise in the first half of 2017. It will be based at Village Roadshow Studios, which features the largest purpose-built water tank in Australia. The film also will mark the return of director James Wan, who will shoot his first feature in Australia since Saw (2004). Australian arts minister Mitch Fifield said Aquaman will create over 1,000 jobs and spend a total of AUS$150 million ($111 million). The federal government secured the shoot by providing a one-off production grant of AUS$22 million ($16.32 million). EXCLUSIVE: Patrick Wilson has been set by Warner Bros and director James Wan to costar in Aquaman. Jason Momoa plays the title character, and Wilson will play the fish whisperer’s super-villain half brother ORM, also known as Ocean Master, in the DC film that Warner Bros will release October 5, 2018. The character has some of the sibling rivalry elements found in Loki. That is Thor’s half brother who has figured as the heavy in numerous Marvel films, in the form of Tom Hiddleston. ORM is at least as disagreeable and more powerful: in the comics, Aquaman’s human half-brother is a rival for the throne of Atlantis, and wreaks havoc on the high seas and beneath them when he doesn’t get his way. Amber Heard as Mera, is playing Queen of Atlantis. Aquaman finally has a release date. The Warner Bros superhero pic starring Jason Momoa and directed by James Wan will hit theaters October 5, 2018 in both 3D and IMAX. Aquaman made his cinematic debut earlier this year via a short cameo in Batman v. Superman: Dawn of Justice. The character will next be seen in a major role in the Zack Snyder-directed follow up Justice League, which sees the major heroes of the DC Universe united to face off against DC Villain Steppenwolf. When Jason Momoa suits up as “Aquaman” for his standalone film, he will face off against one of the seafaring superhero’s greatest foes. TheWrap has exclusively learned the bad guy of the movie will be Aquaman’s deadliest and most-famous opponent — Black Manta. “Aquaman” diehards should go nuts for the film’s adherence to DC lore — “Aquaman” first introduced the villain in 1967. In DC’s “New 52” reboot, Black Manta is a man in a suit with no innate super powers. Warner Bros. had no comment. 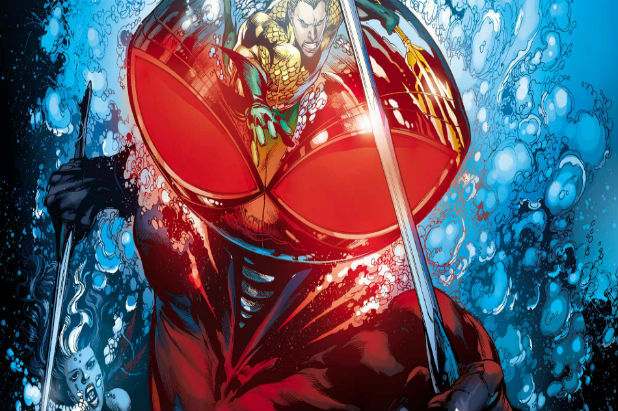 Black Manta (pictured above) has had several distinct origin stories over the years. In the latest version, Aquaman killed his father in retaliation for a murder committed by the young Black Manta. So begins Black Manta’s quest for revenge. The Gangster Squad scribe is once again writing Aquaman, Warner Bros.’ feature project based on the iconic DC Comics character. This time however, he is working off a detailed treatment from filmmaker James Wan, who is attached to direct, and comics author and co-head of DC Films, Geoff Johns. 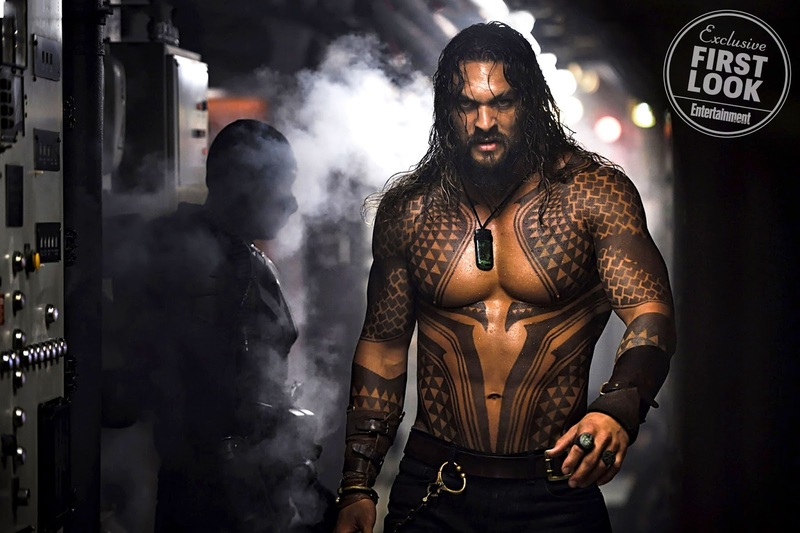 Jason Momoa barnacled to star as the half-human, half-Atlantean King of the Seven Seas. July 27, 2018 is the release date. 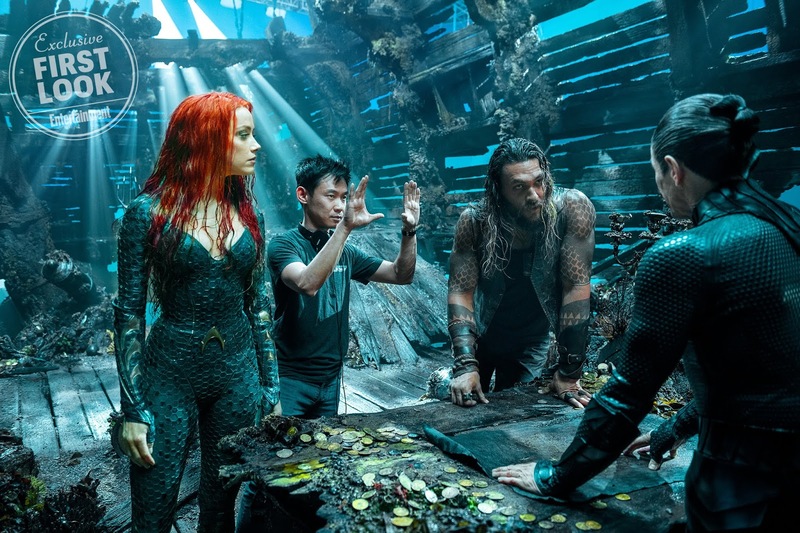 Warners was developing Aquaman on dual tracks, hiring multiple writers to develop scripts simultaneously. Beall and Kurt Johnstad, a frequent collaborator of Justice League director Zack Snyder, then a major architect of the DC cinematic universe, were hired in summer 2014. Late last year, when Wan came circling the project, Wan’s Conjuring 2 scribe David Leslie Johnson became another track. In the meantime, Beall moved off the project and became the writer and exec producer of the Training Day television pilot, which has been ordered to series by CBS. Director Seth Grahame-Smith has left The Flash. The official explanation: "creative differences." I'm not sure what the exact nature of the creative differences on The Flash are, but I'm being told that this may not be the only movie impacted by the aftermath of BvS. According to multiple, reliable sources James Wan is feeling a tremendous amount of trepidation about Aquaman. It's important to remember two things - Fast 7 was a very difficult process for him, even without Paul Walker's tragic death, and James Wan doesn't really need Aquaman. With The Conjuring 2 and Lights Out (which he produced), Wan will be owning WB's summer slate, bringing in a lot of money with movies that cost a fraction of Aquaman. Aquaman needs Wan, and right now Wan is trying to decide if he needs that hassle. Amber Heard is ready to go under the sea and join the DC cinematic universe! ET confirmed on Thursday that the 29-year-old actress has been cast as Mera, the undersea queen and wife of Aquaman in the DC Comics canon. Heard will make her first appearance as Mera in 2017's The Justice League Part One before appearing in the 2018 standalone Aquaman film opposite Game of Thrones star Jason Momoa. A Warner Bros shareholder meeting on Wednesday brought with it a plethora of announcements from the company. CEO Kevin Tsujihara officially announced WB’s schedule of tentpole films including DC Comics, Harry Potter, and LEGO franchises. Filling in all those question marks from a couple of months ago, the new Warner Bros schedule shows some obvious films like Wonder Woman and Justice League, and even announces Cyborg and what is presumably a Green Lantern reboot. Also in the presentation and press release, two major pieces of casting were included. Ezra Miller will star as the movie version of The Flash, putting to rest any speculation of the TV and movie universes being joined. Jason Momoa, long rumored for the role of Aquaman, was confirmed as well. It should be noted, this is not their full schedule of DC Comics movies. The press release reads that these are "at least 10 movies" and that the full line-up will also include "stand-alone Batman and Superman films" that aren't on this initial schedule.